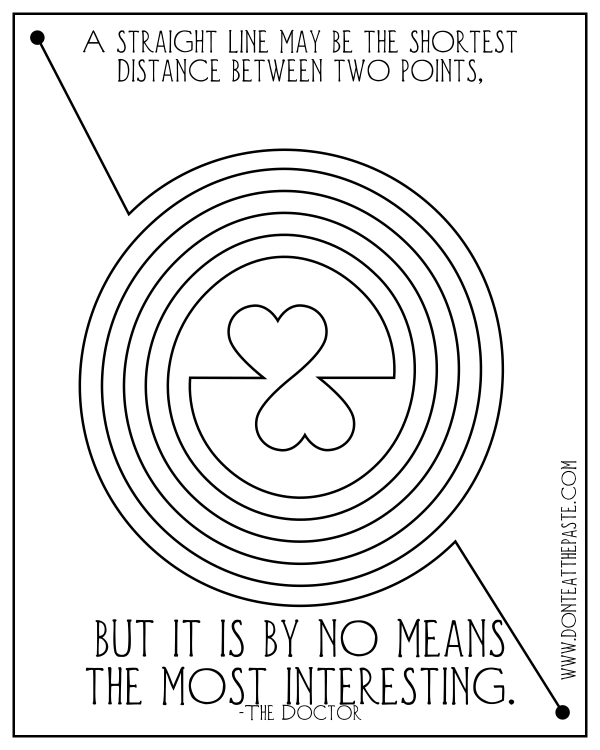 A straight line may be the shortest distance between two points, but it is by no means the most interesting. I asked The Amazing Turnip Girl before putting in the quote "Should I put that it was the 3rd Doctor who said it, the author or just attribute The Doctor?" She replied "It's all the same Doctor." So there it is. But there is more information after the clickable and printable image! The version above is on my FB page if you want to share it. 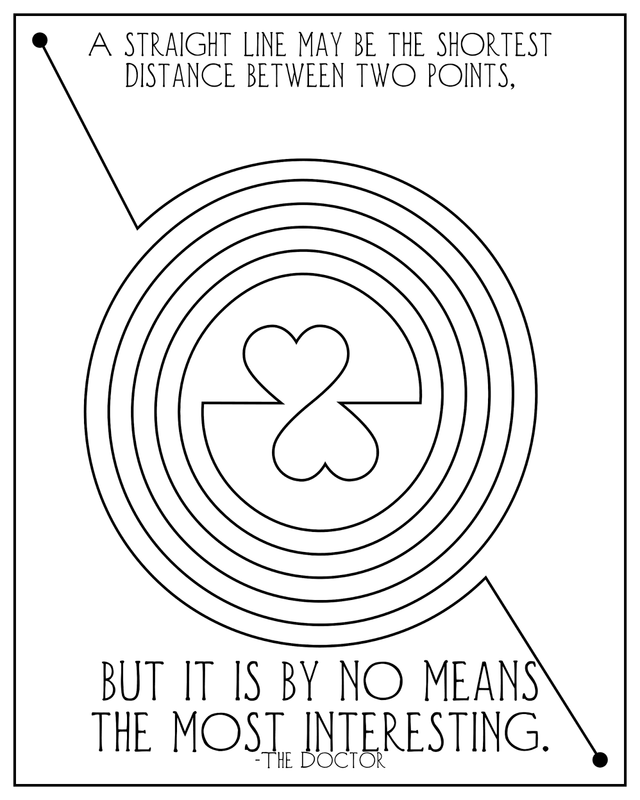 The quote is from the first episode of the 11th season, written by Robert Holmes. That was also the very first Sarah Jane episode, and the first appearance of the Sontarans. So it was a very nifty episode in the history of Doctor Who, plus, that's just a really great quote. I hope you like my illustrated version. If you're interested in seeing it, you can order the DVD from Amazon below. This is an affiliate link and using my affiliate links to buy things from Amazon helps support my site and my book addiction.